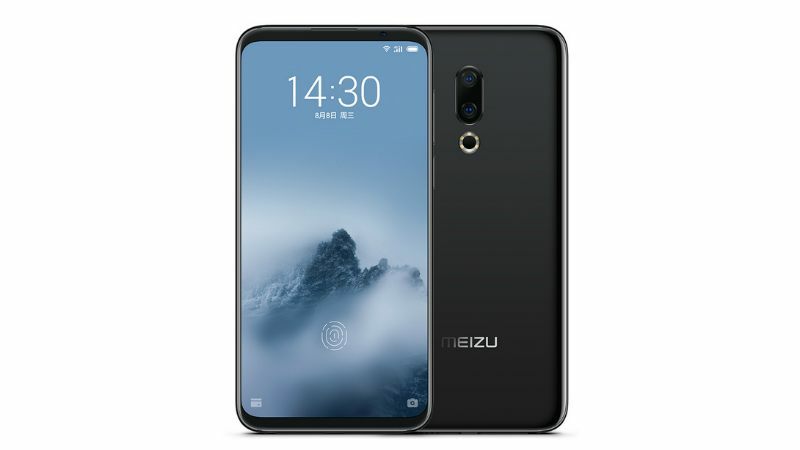 Chinese smartphone manufacturer Meizu has launched two new smartphone, the Meizu 16 and Meizu 16 Plus in China. The new smartphone was launched aasthe successors to the Meizu 15 and Meizu 15 Plus. Meizu 16 is available in 3 variants, one with 6GB RAM with 64GB storage, the 6GB RAM with 128GB storage and the 8GB RAM with 128GB storage. In contrast the Meizu 16 Plus is also made available in 3 variants, the 6GB RAM with 128GB storage, 8GB RAM with 128GB storage and the top end 8GB RAM with 256GB storage. Coming to the priceing, the Meizu 16 will be available at a price of CNY 2,698 for the 6GB/64GB variant which is approximately Rs. 27,100, for the 6GB/128GB variant, it is priced at CNY 2,998 which is approximately Rs. 30,100 and CNY 3,298 (Rs.33,100) for the 8GB/128GB variant. The Meizu 16 Plus will be available at a price of CNY 3,198 (Rs. 31,400) for the 6GB/128GB variant, CNY 3,498 (Rs. 35,100) for the 8GB/128GB variant and CNY 3,998 (Rs. 40,100) for the 8GB/128GB variant. All these variants will be available for pre-orders in China from August 15. The availability of the smartphones outside china is not yet reveled. Some of the main highlights of the handsets includes 18:9 display, an in-display fingerprint sensor, Qualcomm Snapdragon 845 SoC,coupled with Adreno 630 GPU along with 6GB or 8GB of RAM etc. They additionally include mEngine 2.0 that is highly inspired by Apple’s Taptic Engine. Talking about the specification of the handsets, the Meizu 16 comes with dual-SIM support which accepts Nano SIM card. The mobile runs Flyme OS based on Android 8.0 Oreo, which is a part of the Android One programme from Google, and is certified to offer an optimized Android experience and timely updates. The smartphone features a 6-inch full-HD+ Super AMOLED display with a resolution of 1080×2160 pixels and with an aspect ratio of 18:9 and pixel density of 402ppi. The Meizu 16 is powered by a Qualcomm Snapdragon 845 processor, coupled with Adreno 630 GPU and 6GB/8GB of RAM. Similar to Meizu 16, Meizu 16 Plus comes with dual-SIM support which accepts Nano SIM card and the mobile runs Flyme OS based on Android 8.0 Oreo as like Meizu 16. The smartphone features a 6.5-inch full-HD+ Super AMOLED display with a resolution of 1080×2160 pixels and with an aspect ratio of 18:9 and pixel density of 374ppi. The Meizu 16 Plus is powered by a Qualcomm Snapdragon 845 processor, coupled with Adreno 630 GPU and 6GB/8GB of RAM. The Meizu 16 and Meizu 16 Plus smartphones provided with a dual rear camera setup, with a 12-megapixel Sony IMX380 sensor in the primary camera, along with a wide angle lens with an f/1.8 aperture and phase detection autofocus(PDAF)also a 20-megapixel IMX350 sensor as the secondary rear camera, along with a telephoto lens with an f/2.6 aperture. The rear camera setup is powered by a four-axis optical image stabilisation(OIS) and paired with a 6-LED flash module. On the front side,there is a 20-megapixel sensor, along with an f/2.0 aperture, and supports an artificial intelligence(AI) powered face unlock. The rear camera also works with a preloaded portrait background blur mode and 3x lossless zoom mode. In the case of connectivity options, the Meizu 16 and Meizu 16 Plus include 4G VoLTE, Wi-Fi 802.11ac (dual-band, 2.4GHz and 5GHz), Bluetooth v5.0, GPS/ A-GPS, and a USB Type-C (v2.0) port. It also have an in-display fingerprint sensor on the rear side, while other sensors on board include a gravity sensor, ambient light sensor, electronic compass, gyroscope, hall magnetic and pressure sensor. Also the handset has linear dual speakers with an immersive surround sound technology. The Meizu 16 provides a battery capacity of 3010 mAh and Meizu 16 Plus provides a battery capacity of 3640 mAh that supports fast charging through the proprietary mCharge.